The town closed the deal Wednesday to complete the purchase of the 22-acre Marcap property on Cedar Mountain to preserve as open space, a cause that had drawn support from hundreds of residents. The town council voted in November to buy the property for $2.6 million, which it had planned to pay for in installments through the capital improvements budget over five years. In December, the state Bond Commission approved a $1 million grant to help the town buy the land. Town Manager John Salomone signed the contract Wednesday with the three Marcap owners, handing over an initial payment of $25,000. The next installment of about $500,000 is due in August, followed by yearly payments for the about five years. The town is still waiting for the $1 million in state money to arrive, Mayor Steve Woods said. When it does, the entire amount will be turned over to the sellers and deducted from what the town owes. "It's a good thing for the town," Woods said. "The people came out, spoke, and the council listened." 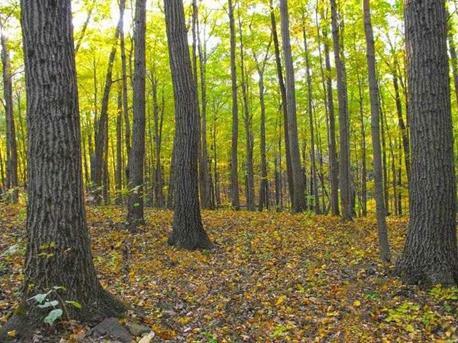 Woods said for now the property, popular with hikers, will stay just as it is. Although improvements are possible in the future, the town's financial constraints mean that will have to wait. "My guess is nothing will happen to it in the immediate future," Woods said. Salomone led intense negotiations to buy the land with the owners of the Marcap property, who this summer withdrew a proposal for developer Toll Brothers to build 75 townhouses on the land. Hundreds of residents attended meetings throughout the summer to oppose the proposal as well as another one by Toll Brothers on the adjoining Balf property. Cedar Mountain advocates were thrilled when the town voted to acquire the Marcap property. But the town has no immediate prospects of making a bid on the Balf property. Toll Brothers has received town plan and zoning commission approval to build 62 four-bedroom houses on the Balf property, a plan in which the builder would donate 44 acres of open space to the town, including the traprock ridgeline. The inland wetlands commission has rejected the proposal, but Toll Brothers can submit changes and try to win approval.